Item # 314591 Stash Points: 3,195 (?) This is the number of points you get in The Zumiez Stash for purchasing this item. Stash points are redeemable for exclusive rewards only available to Zumiez Stash members. To redeem your points check out the rewards catalog on thestash.zumiez.com. 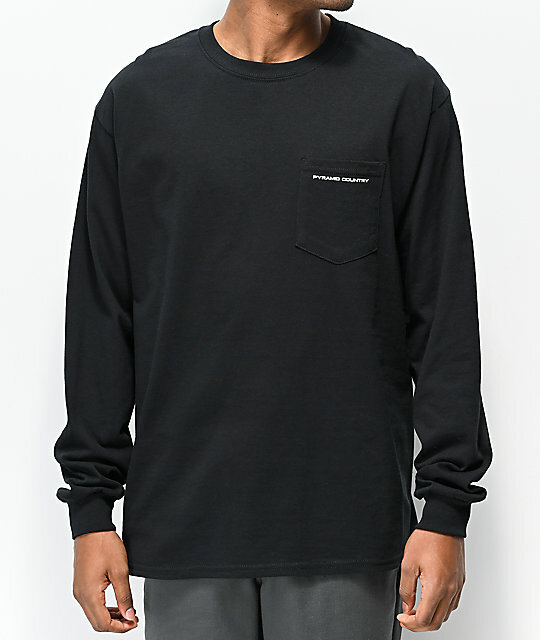 A great way to show off your diverse personality, Pyramid Country presents their Joseph's Ark Black Long Sleeve Pocket T-Shirt. 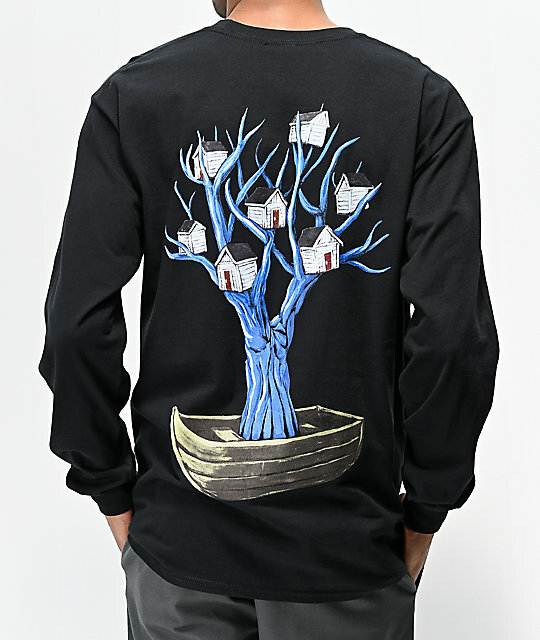 Made from a soft cotton construction, this top offers a classic fit and comes complete with logo script upon the left chest pocket, while the back displays a large surrealistic graphic of a wooden boat hosting a large blue tree with an array of houses attached to its branches. 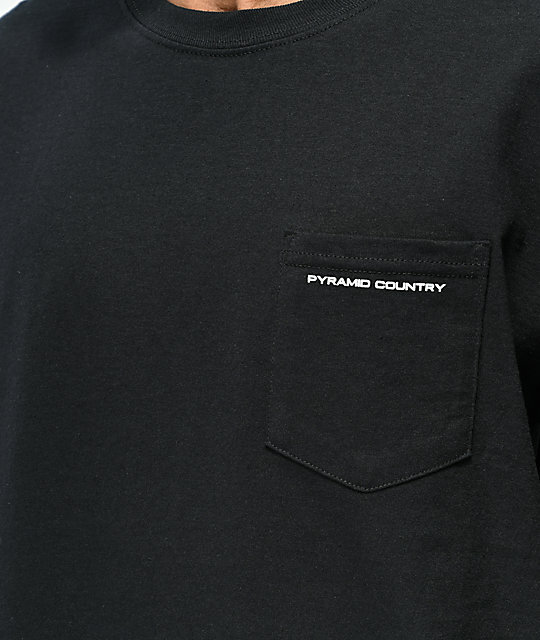 Joseph's Ark Black Long Sleeve Pocket T-Shirt from Pyramid Country. Left chest pocket with screen-printed logo script. Large screen-printed graphic on back.